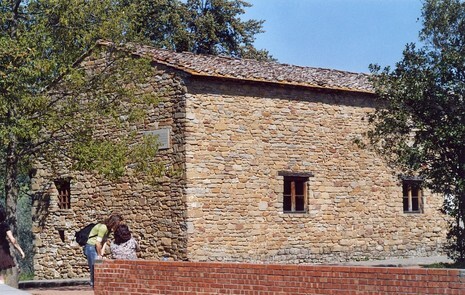 Leonardo was born on April 15, 1452, "at the third hour of the night"[nb 5] in the Tuscan hill town of Vinci, in the lower valley of the Arno River in the territory of Florence. He was the illegitimate son of Messer Piero Fruosino di Antonio da Vinci, a Florentine notary, and Caterina, a peasant who may have been a slave from the Middle East. 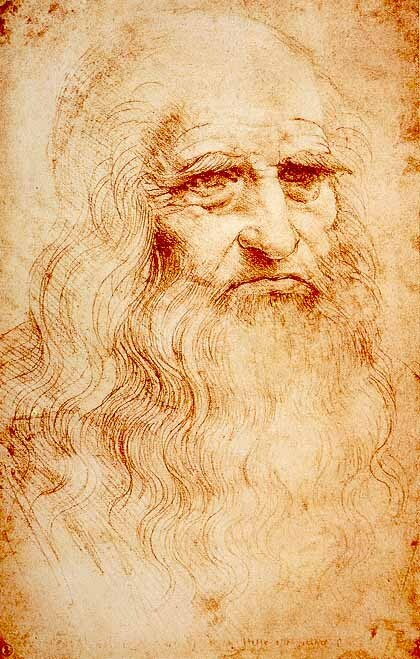 Leonardo had no surname in the modern sense, "da Vinci" simply meaning "of Vinci": his full birth name was "Leonardo di ser Piero da Vinci", meaning "Leonardo, (son) of (Mes)ser Piero from Vinci". Though illegitimate, Leonardo was taken in and raised by his father. A child of unearthly beauty, Leonardo showed precocious genius in math, music and art. His greatest desire was to be apprenticed to a painter, a profession which was looked down upon at the time. Eventually, his father was worn down by the boy's undeniable talent, and took him to Florence to study painting, sculpting and engineering under the great Andrea del Verrocchio. Leonardo quickly outstripped his master (though he continued to study with Verrocchio until around 1476) and was admitted to the Florence painters' guild in 1472.